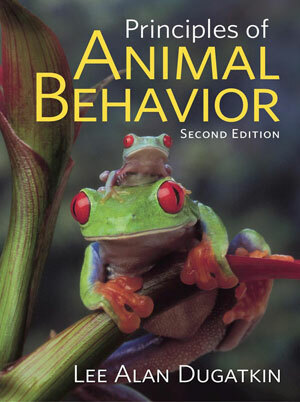 Dugatkin has greatly expanded coverage of proximate factors for the second edition, including endocrinology, neurobiology and molecular genetics, to show students how animal behaviorists strive to integrate proximate and ultimate perspectives and build a comprehensive view of animal behavior. Recent advances in genetics research has greatly expanded the emphasis on phylogeny in the animal behavior literature. The second edition of Principles of Animal Behavior reflects this current research with a thorough introduction to phylogeny and animal behavior in Chapter 2—The Evolution of Behavior, which enables Dugatkin to incorporate a phylogenetic view of animal behavior throughout the rest of the text. Responding to the requests of adopters and reviewers alike, the second edition is accompanied by a DVD of over 200 spectacular and educational film clips from across the animal kingdom. Clips are drawn from three sources: researchers cited in the text, the BBC and the Cornell Lab of Ornithology. A helpful booklet by James Hare (University of Manitoba) makes integrating each clip into lecture easy by providing you with a species name, brief description of the behavior and references to relevant reading in the text. Principles of Animal Behavior was the first text to cover learning and cultural transmission in an extensive and integrated way with four “primer” chapters at the beginning of the book, two of which deal with learning and cultural transmission (the others are The Evolution of Behavior and Proximate Factor) and with case studies, beginning in Chapter 6, concerning learning and cultural transmission. Dugatkin retains this strength in the second edition with new and updated research examples throughout the text. Dugatkin conducted each interview, almost half of which are new to the second edition, specifically for Principles of Animal Behavior. The goal of each interview is to engage students with current research in the field and demonstrate the process of science in the context of animal behavior. Each interviewee discusses how they became interested in that chapter’s topic, how they came to the insights that led them to make important contributions to the field and how they think the study of animal behavior will evolve in the near future. The most balanced, comprehensive and current animal behavior text available. a focus on current research and the process of science through interviews with prominent researchers at the end of every chapter.